At the Northwell Health Orthopaedic Institute, we're dedicated to educating tomorrow's orthopedic specialists and conducting medical research that will improve patient care for years to come. Residency and fellowship opportunities are available for future medical professionals who are interested in orthopedic surgery. The primary goal of the graduate medical education (GME) programs is to train and graduate well-rounded, well-educated orthopedic surgeons and specialists. Comprehensive training is afforded in all subspecialty areas as mandated by the American Board of Orthopaedic Surgery. Learn more about available opportunities below. Education of medical students at the Donald and Barbara Zucker School of Medicine at Hofstra/Northwell provides our orthopedic residents and fellows with the latest clinical training. Participating in or leading continuing medical education courses and seminars also demonstrates our dedication to acquiring and sharing the latest orthopedic medical knowledge and technologies. Stay up to date on the latest in our field by reading our orthopedic bulletin. The Department of Orthopedic Surgery at the Zucker School of Medicine's Residency in Orthopedic Surgery provides a comprehensive onsite experience in all aspects of orthopedic surgery, including basic science and clinical orthopedic surgery with a strong emphasis in basic science and clinical research. The Plainview Hospital Department of Orthopedics offers a five-year training program in orthopedic surgery. This program is exclusively for osteopathic medicine physicians. The Lenox Hill Hospital Department of Orthopedics offers a five-year ACGME-accredited training program in orthopedic surgery. The Department of Orthopedics has 67 world class full-time or part-time attending and voluntary orthopedic surgeons and research scientists available to help train residents. The Lenox Hill Hospital Department of Orthopedics offers a comprehensive, ACGME-certified, one-year fellowship program in sports medicine. All of our patient care is grounded in medical research conducted by our orthopedists, whether through multi-institutional studies, industry- or government-sponsored trials or in collaboration with researchers at the Feinstein Institute for Medical Research, which has performed innovative investigations on tendon repair and cartilage regeneration. The foot and ankle program is actively pursuing research projects, including a retrospective study of ankle fractures for syndesmotic injury and a study focusing on inpatient versus outpatient settings for ankle fracture treatment. The joint replacement team works closely with the researchers at the Feinstein Institute for Medical Research to improve treatments for musculoskeletal injuries. Our orthopedic research scientists and practitioners are constantly shedding new light and offering new hope for patients with chronic back pain and other conditions that impact the spine. The trauma and fracture team is actively involved in research through collaboration with the Feinstein Institute for Medical Research. Current areas of focus include using 3D printing to correct bone defects and evaluation of hip fracture data and patient success rates. View our active clinical trials here. The Northwell Health Orthopaedic Institute offers an array of live activity professional education courses in partnership with the Northwell Health Office of Continuing Medical Education and the Northwell Health Rehabilitation Network, providing healthcare professionals in various regions with current evidence based information of emerging trends and techniques in orthopedic care. All Northwell Health Orthopaedic Institute professional education activities are designed to provide attendees with a valuable, interactive learning experience and ultimately improve patient outcomes by identifying potential gaps in orthopedic knowledge and addressing these gaps by using a variety of learning formats. The majority of these live activity professional education events are eligible for category 1 credit of the American Medical Association’s Physician’s Recognition Award and are offered at various Northwell Health institutions, including the Bioskills Education Center—a state-of-the-art education facility that allows for attendees to experience the latest technologies and surgical techniques in orthopedic operative care up close, without having to enter the operating room. 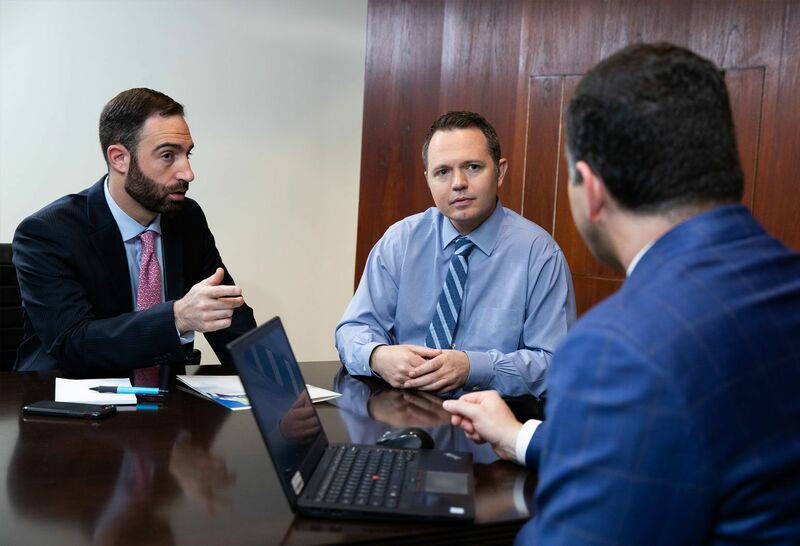 Professional education programs are offered within Northwell Hospitals, outpatient practice locations and other off-campus venues throughout the Long Island, Manhattan and Westchester areas. By providing your email address, you agree to receive email communication from Northwell Health.